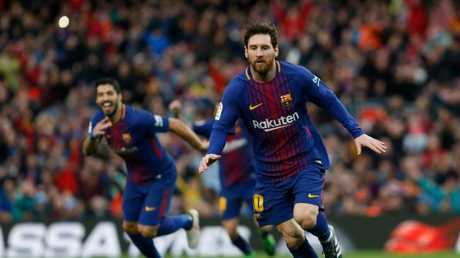 BARCELONA have beaten nearest challengers Atletico Madrid 1-0 thanks to an outstanding free-kick from Lionel Messi to move eight points clear at the top of La Liga and closer to a 25th Spanish title. 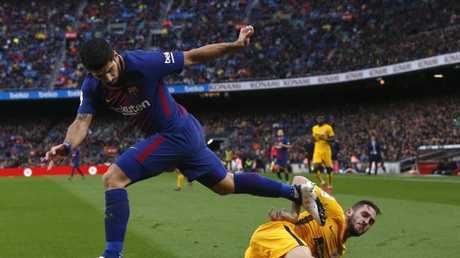 However amid the celebration, an injury to veteran playmaker Andres Iniesta comes as a big blow to the Catalans' preparations for their second leg Champions League clash with Chelsea. 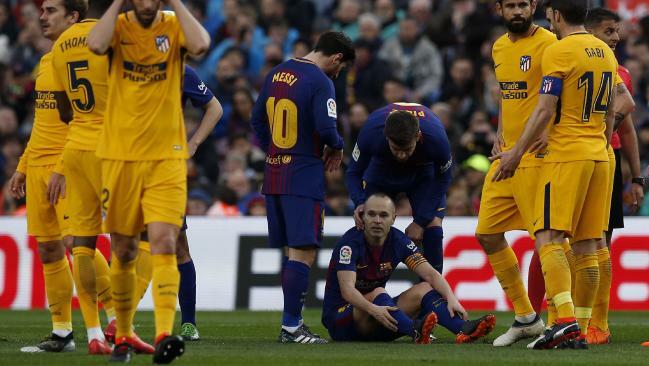 Iniesta was forced off in the first half with a hamstring injury, which the club have confirmed will be now be assessed. The 33-year-old provided the assist for Barca's first leg equaliser and with Philippe Coutinho cup tied and unavailable for the continental clash - his absence comes as a massive blow. Atletico, who clinched the 2014 title at the Nou Camp but have not won there since 2016, could have cut the gap on Barca to two points with a victory but coach Diego Simeone opted for a typically conservative approach. 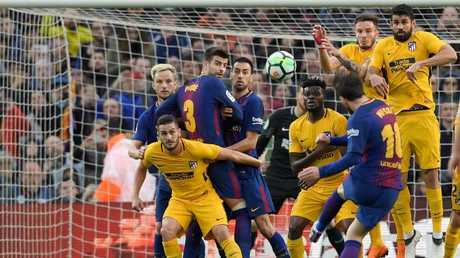 Thomas Partey's wayward strike from distance was Atletico's only threat and although Simeone made two attacking substitutions, his side could not force Barca goalkeeper Marc-Andre ter Stegen into making a save. Kevin Gameiro had a goal correctly ruled out for offside. "It was a very tight game. Messi is a unique player and if he had been wearing our shirt instead of Barca's perhaps we would have won," Simeone said. The Argentine coach admitted it was difficult to see Barca losing their grip on their considerable lead at the top. "The numbers don't lie and you expect Barca won't lose four or five games but this is football and it's marvellous so you never know," he said. Barca manager Ernesto Valverde also paid tribute to Messi, who scored his 600th career goal and netted a free kick for the third consecutive game. "There's no-one like him in the world. I don't know what would have happened if he played for Atletico, I don't want to even imagine it,"
Valverde, who suffered repeatedly against Messi while in charge of Athletic Bilbao, said. "When you are on the other side you always think Messi is going to score, your sense of fear is far stronger when he is your rival. When he is on your side, you are always hopeful." Real Sociedad compounded Deportivo la Coruna's woe with a 2-1 win. Earlier, struggling Levante sacked manager Juan Ramon Lopez after the Valencians were denied a first win in 15 La Liga games by an injury-time equaliser in the 1-1 draw with Espanyol.